After writing about the Love of Money, talking about debt seems natural. Having a debt load hanging over you is not good. It isn’t good because of what it does to you; it isn’t good because of what it keeps you from doing. Being indebted is owing money to someone else. That someone may be a person, a company, or in the case of our nation, being indebted to other nations. To add to the gravity of the situation: Debt is also a spiritual matter. Most of us don’t wake up one day and decide to get dangerously in debt. Sometimes we are seduced slowly over time. Sometimes life happens. That is our story. Debt sometimes accumulates for worthy, non-frivolous, reasons. In our economy, many people accumulated debt just trying to survive. My husband and I had six years of under-employment. During that time our debt started growing when we moved a house full of possessions 1942 miles across the country because we had the hope of permanent jobs. After the move, we spent a year in a rented house, then bought a house and made a second move, sixteen miles away. Nearly three years after arrival, and four months short of two years in our new home I finally landed a full-time job. Now the work begins of shoveling out from under our debt load. Probably ten years ago I read a book by Jerrold Mundis: How to Get Out of Debt, Stay Out of Debt, and Live Prosperously. 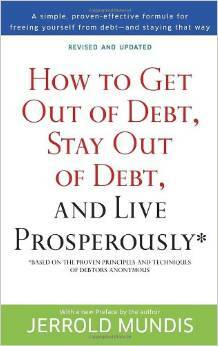 I was very impressed with the book, and still suggest it to friends who are burdened with debt. It is, from almost the first page, a cheerleader giving encouragement, removing fear, illustrating benefits, and charting a path to pay down debt while still having a life and not being in want. I have also encouraged high school students, and young adults to read this because it helps to have a plan to live in a way that precludes debt from ever happening. We did not use this book as a blueprint, but rather my husband and I sat down together and talked out how we would endeavor to get out from under. We needed to do three things: continue to have a life while paying down the debt and rebuilding our financial cushion. We decided on percentage rates for doing that. We decided the order in which we would tackle our debt. We worked out a repayment schedule for ourselves. When in my heart of hearts I have grumbled about my job; I remember this: it is allowing us to dig out from under and build our savings again. We are living on my husband’s income; we are using 60% of my pay for debt elimination and 40% of my pay to build up a cushion again. My husband’s income is feeling more satisfactory now because we are spending none of it trying to stay on top of our debts. My income is purposefully removing debt. Every month gets us closer to our goal. 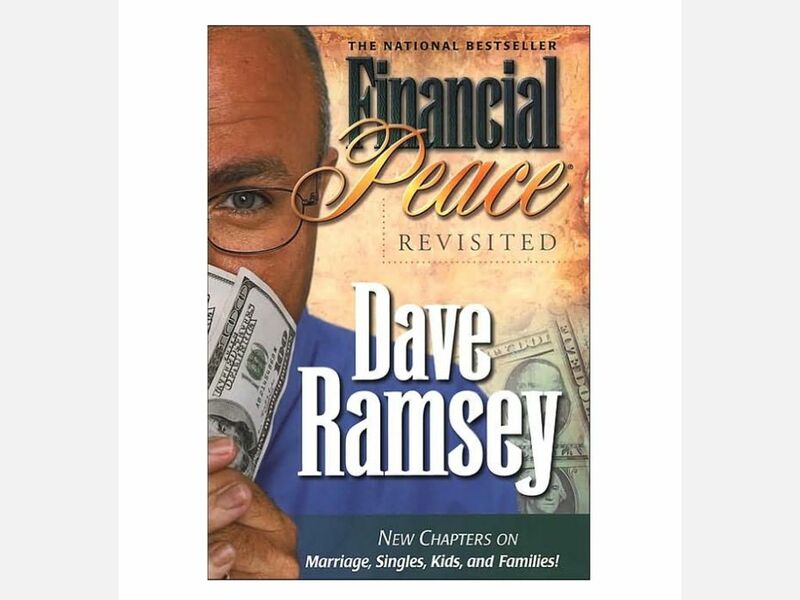 Some friends of ours found a book at a Goodwill by Dave Ramsey called Financial Peace Revisited. Then the couple invested $100 and went to Dave Ramsey’s Financial Peace University. It was presented as a sort of support group/class. They report that it was the best $100 they ever spent as a couple. In addition to getting on the path to financial freedom (they got out of debt within two years of the course); they also said it improved their marriage as well. In money matters, it really helps to be on the same page with your spouse! Though Dave Ramsey is known for his “anti-debt” message, what I loved about the Financial Peace University was that it was comprehensive: covering mortgages, insurance, investing, etc. He is also the first Christian financial teacher I ever heard sing the importance of personal responsibility (on the conservative side) *and* go after companies and individuals that oppress the poor (on the liberal side). You asked about the personal side as well. We became debt free in August 2011… two years after FPU. It allowed us in the next year to save up and pay cash for a family trip to Disneyworld as well as create much more margin in our budget for extra giving and saving for the future. We are currently on what Dave Ramsey calls Baby Step #3: Saving in cash 3 to 6 months of living expenses. It’s taken us longer than I would have liked, but we took a great vacation and have been able to cash flow all of our expenses in the meantime. Theologically, I have seen this process of restraint as God’s gift to us. My wants are unlimited and forcing myself to curb my appetites has been good for me spiritually. Lately I have loved embracing the idea that God is so generous that He gives us enough to give away 10% and save some more–and still have enough for basics. Living below our means has been our mantra. We make mistakes and occasionally overspend… but most of this is held in check by the budget. In this vein, I have found Andy Stanley’s book, How to Be Rich, helpful. It is not a “get rich” book but rather a reflection on the reality, that if you live in America, you are rich by the world’s standards. What might it mean to steward these resources well? We’re looking forward to building wealth and be outrageously generous some day. It’s been a great season for our marriage. Back to our situation. Although my husband and I have chosen a different route to become debt free we have ended up at the same place in some ways. We have felt frustrated over the debt ridden years in our inability to be generous to others; we have been frustrated by our inability to contribute to worthy institutions and organizations. My husband and I have spent countless hours talking about charity and charitable giving. That is one of the blessings that comes from being debt free and living beneath your means. Debt holds you back while owing money to others; giving lifts up your spirit while helping others. We are cheered by progress at becoming debt free; we are buoyed by giving and giving plans that freedom from debt will increase. This entry was posted in Books, Charity, Family, Guest Author, Life in these times, Marriage, Responsibility and tagged Blessings, Debt, Freedom, God, Money, Our choices, Prayer, Thoughtfulness, Unemployment. Bookmark the permalink.